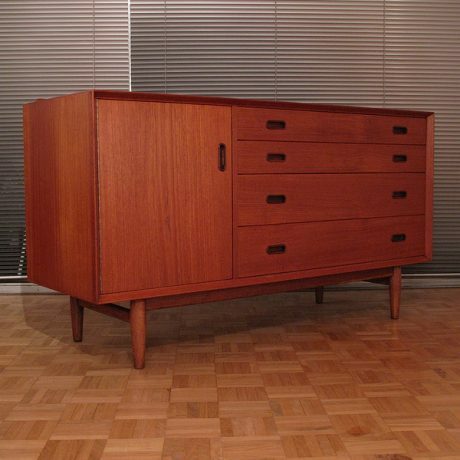 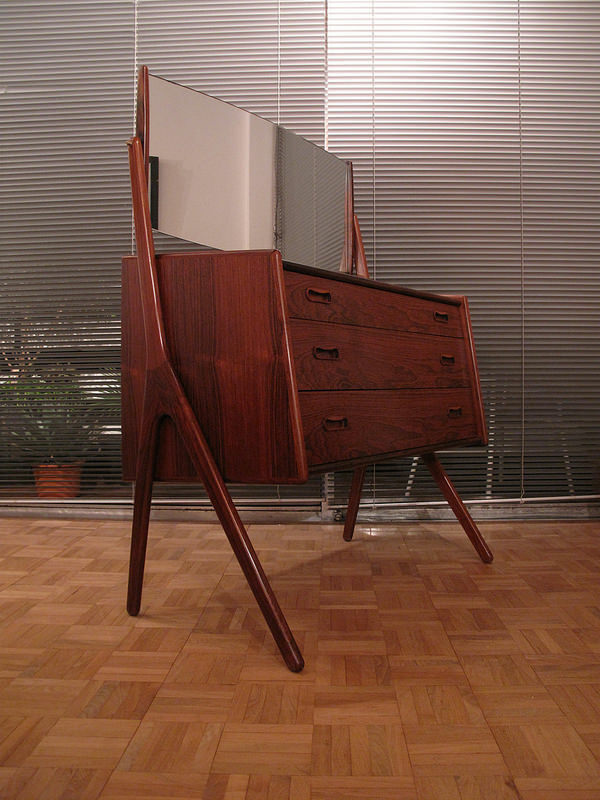 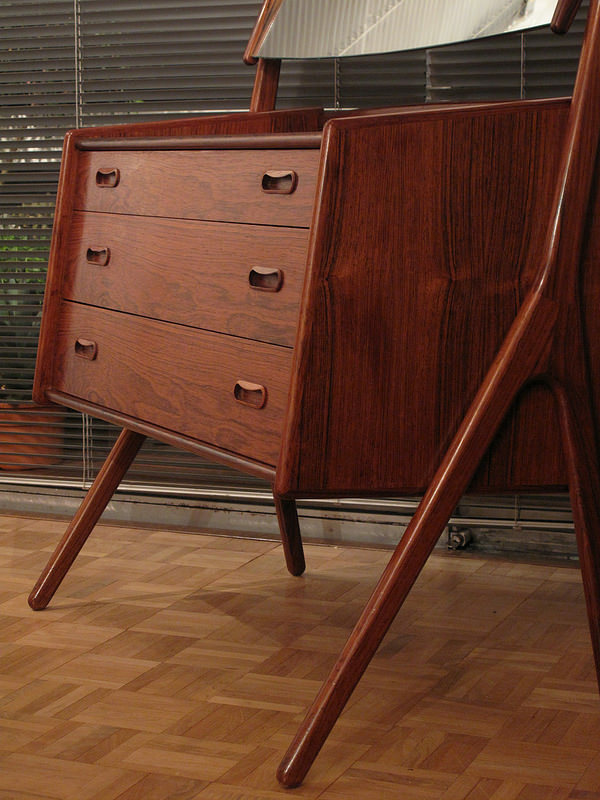 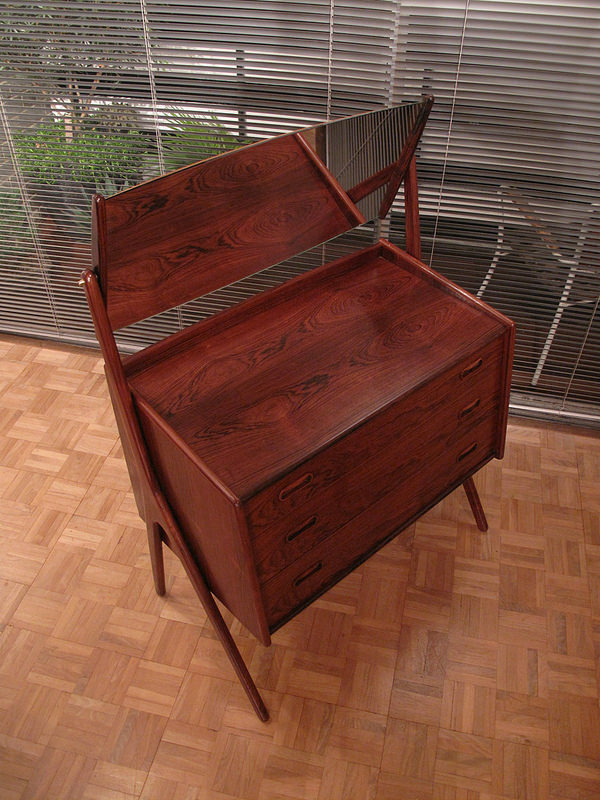 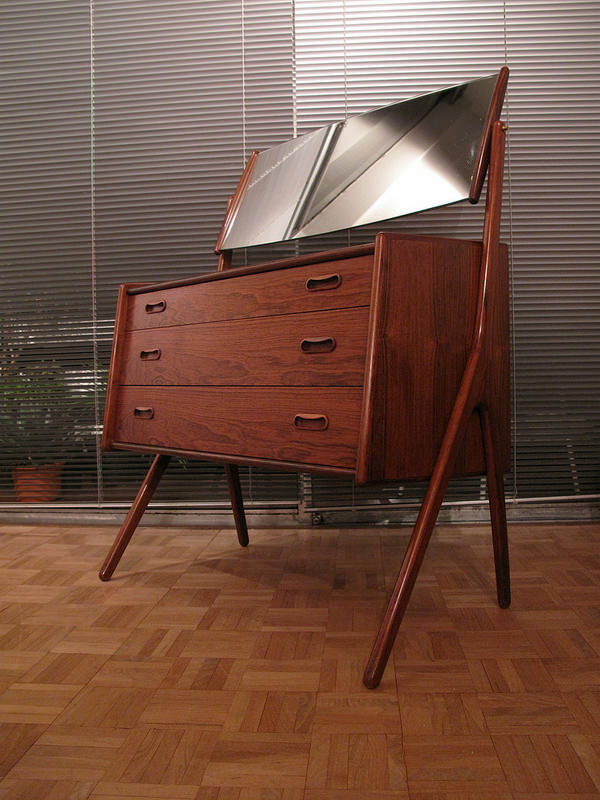 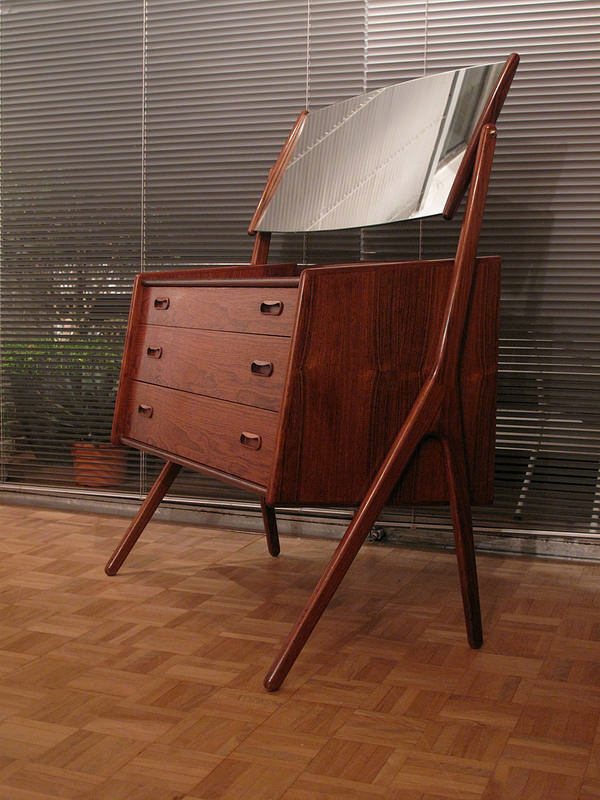 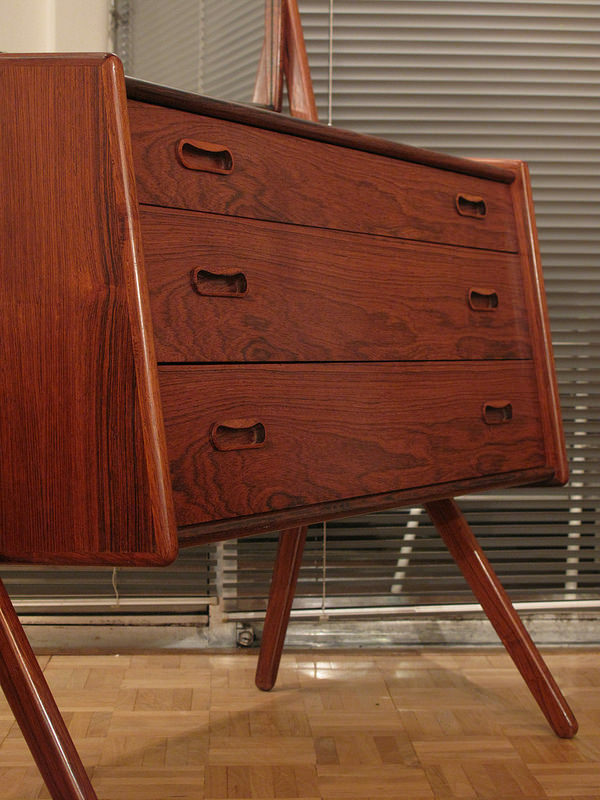 An extremely rare (we could find no other examples searching the internet) dresser designed by Svend Aage Madsen for NB Mobelfabrik, Denmark. 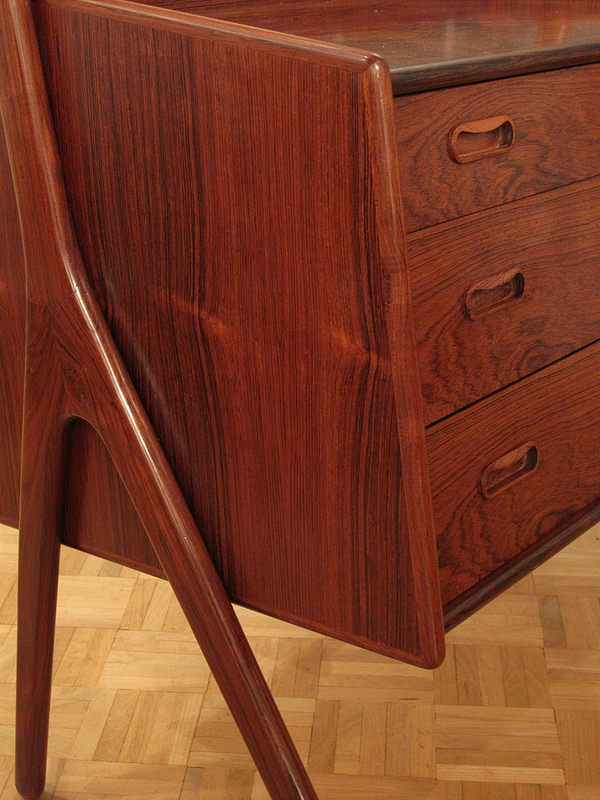 Exquisitely designed and produced this stands out as a real statement piece. 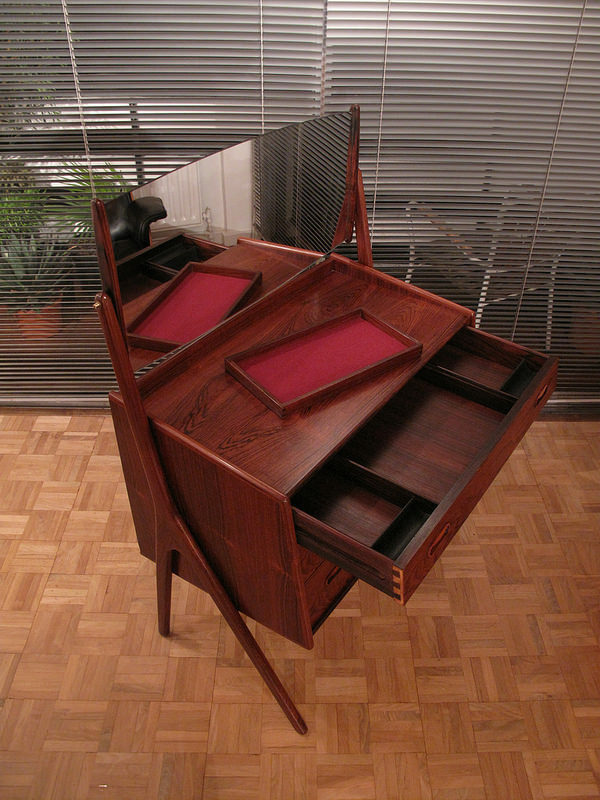 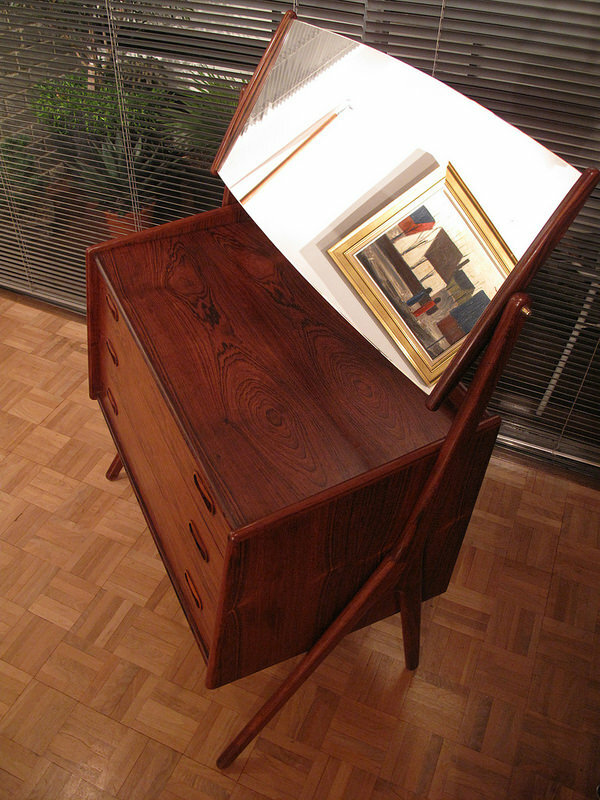 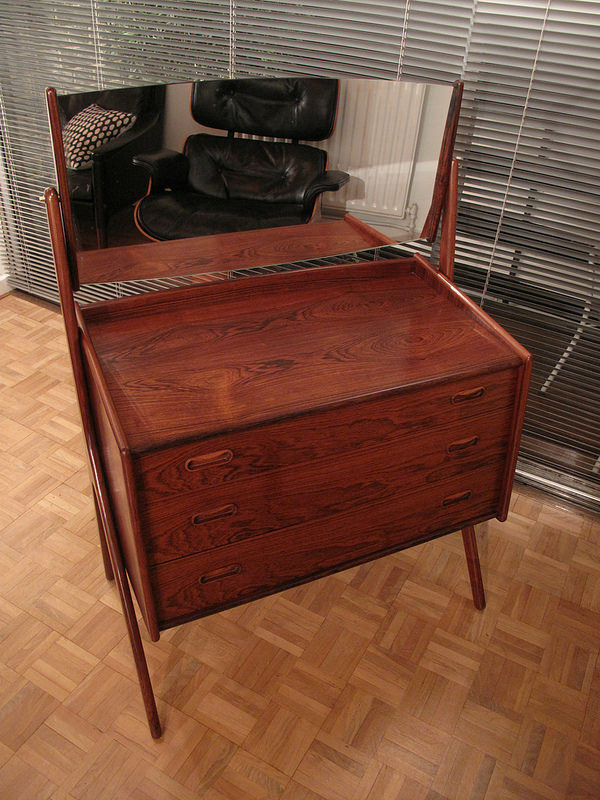 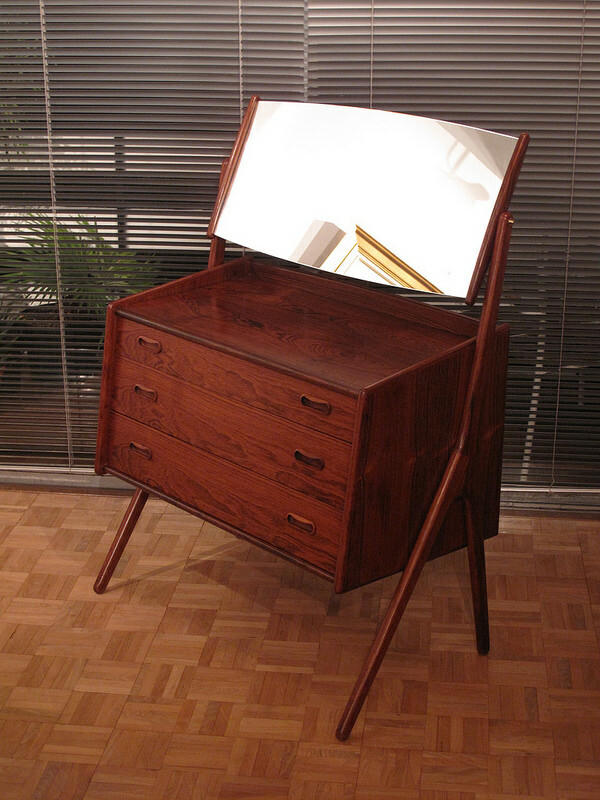 Produced from Brazilian rosewood with three drawers and a mirror mounted above. 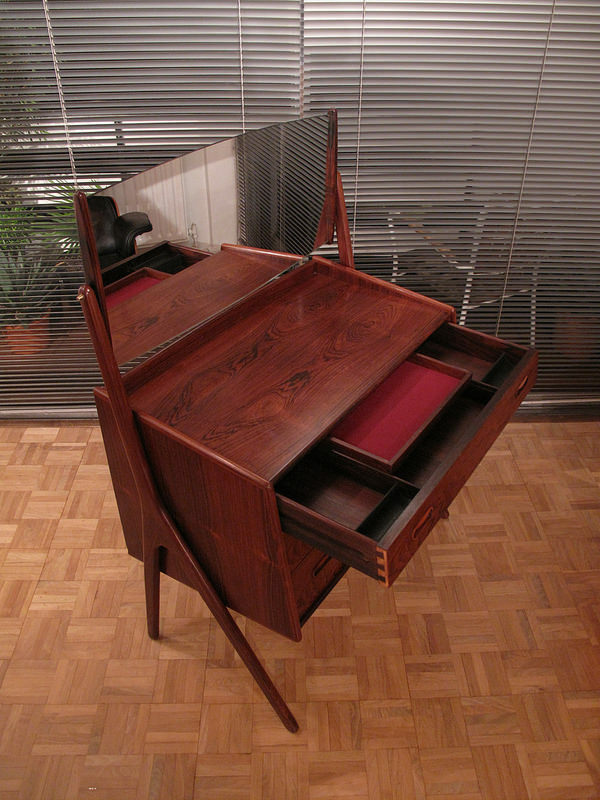 The uppermost drawer features two ebonised jewelry holders and a removable felt lined tray made from solid rosewood. 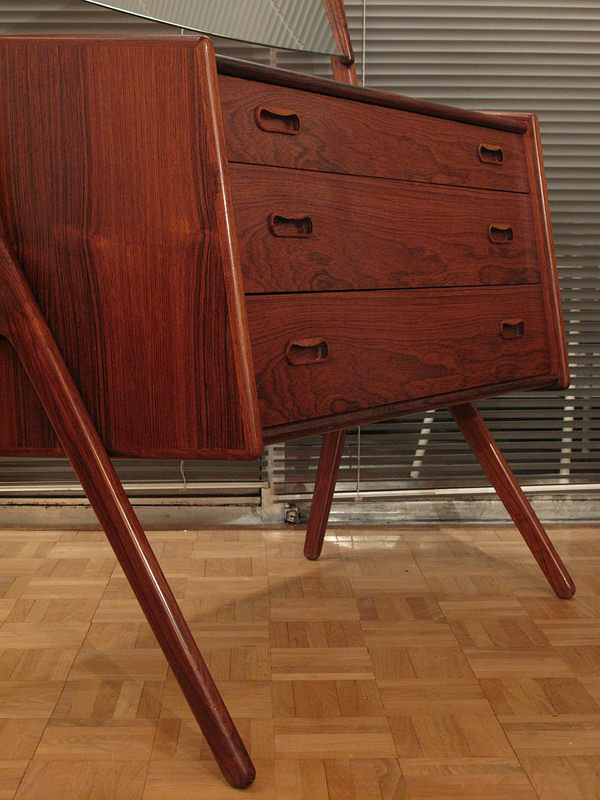 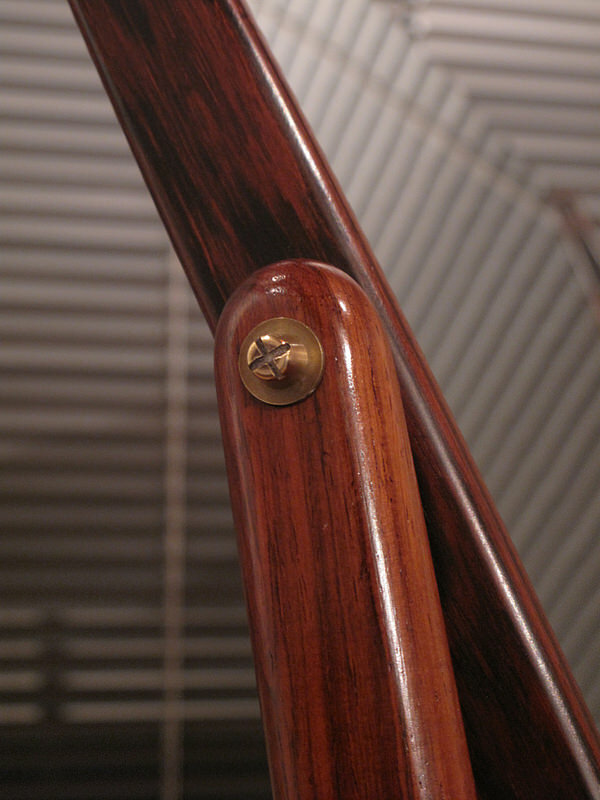 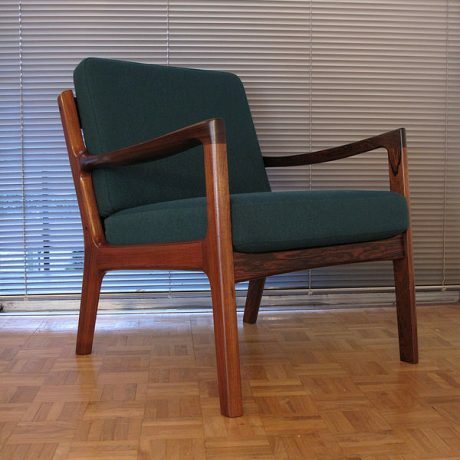 This piece works very well as bedroom furniture but also looks stunning when placed in an entrance hallway.